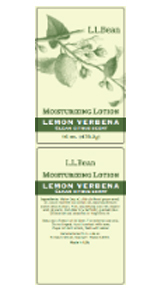 Our records show you purchased or received L.L.Bean Hand Lotion, product code 272426, sold by L.L.Bean in one of the following scents; Lemon Verbena, Balsam Pine or Sea Spray, between March 9, 2012 and January 1, 2013. In cooperation with the Food and Drug Administration, the manufacturer, Sunflower Hill, is recalling the product because of mold detected in the lotion. Please dispose of this hand lotion immediately and contact L.L.Bean for a full refund.